“Hey, come over here! There are Alligators,” said Mark in a sarcastic tone, teasing me for my fear of anything that can eat me. It was 10:47 to the second, my class and I had won a competition the month before last to go visit Dublin Zoo. “It was a very trick situation,” said I, looking back on the whole trip. There were two options , run away and play with the penguins or be cool and throw meat at the alligator. I chose the second option. My face turned mauve as I tripped and fell into the cage. My teacher screamed for help. I just barely managed to climb out. It was a misty ,dull night and I was standing inside a grave yard praying for my dead blood relatives, when I suddenly saw a blacked out figure standing in the corner. As soon as I finished praying I thought that it would be a good idea to go over and confront whoever was constantly staring at me. Before I could move an inch, this crimson faced woman shouted that I wouldn’t be going anywhere. I immediately tuned around to run but all my exits were blocked besides one, I frantically ran and ran… to anywhere but here. Early today I was watching the news and while I was listening I happened to hear of a disaster that included a massive, unidentified monster going on an unnesessaryy rampage and eventually destroying half of a local forestry. They call it the two legged monster. ”News just in, the monster has now made his way to a remote part of the countryside,all we know is he could cause some chaos.” says the news reporter. Imagine, just imagine how one normal ordinary day could turn into this. What a hopeless day,first I wake up to hear that my tiny and thin cousins will be coming down down which means I have to make space in my very busy schedule . Second of all my match has been postponed.,for next week even though the big yellow sun is shining. Finally but by no-means-least ,my younger brother has broken a huge shiny Ming bowl that my parents got for their wedding. Well , that was the most traumatic experience of my life ,but the best part is there’s another 2 days left. It’s time, let’s do this. It was May the 4th and it was time we started running.Running where you ask, running from the death trap that lies just beyond the exit wall. Once we started running the traps immediately went off.As soon as we reached the first and only way point, I realised that not all of us would make it. As soon as we started, one group fell behind.I then realised that although they ran quickly, they were not making enough progress. We had made it, well, not everybody made it but still we have to look on. 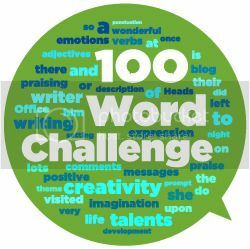 100 word challenge. By dan. Custom Made Cup. It was 4pm and the nation was having their afternoon tea. This included a giant who had just been gifted an absolutely massive tea cup to cater to his every need. It has been a long hour but the police officials have finally contained the beast. Author Posted on 13th March 2018 Tags DanLeave a comment on 100 word challenge. By dan. Custom Made Cup. Jamesfield Town vs Wandering Warriors, text in to be in the team. It was the day before the match and our captain had texted in that he would be unable to play and that a new captain would have to be picked for our big game against Wandering Wanderers. It was the morning before the game and the coach had texted that our new captain would be Mark Evans. As soon as I saw this message I moaned , “BUT WHAT IF I WAS IN CHARGE?” Sadly we could only wait and see. Alas! We lost about 10 goals to 1. As I woke from my long slumber, I felt a weird tingle going up and down my left arm and leg .I immediately dialled 911 on my phone hoping it wasn’t bad. Once the paramedics arrived I explained that I had weird shooting pains going up and down the left side of my body.The paramedics asked me to stand up slowly and to spell the words goldfish,ladder and brown.After I did the paramedics told me I was fine and flew down the road at about 150 mph,rushing off to their next emergency call.